A change of leadership is underway for the Thief River Falls Rotary Club. Under the provisions of the club’s charter, presidential term is limited wholesale NBA jerseys to 12 months. 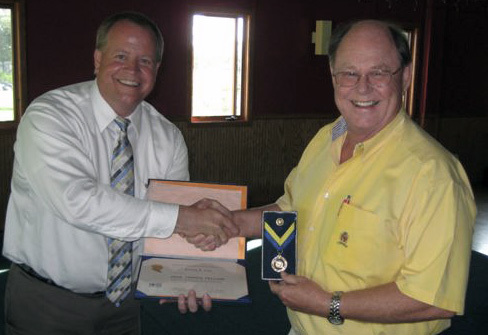 On June 30th of each year, a different Rotary Club member will assume the presidential role. 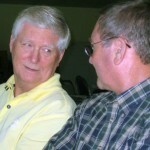 Kermit Genereux (right) will assume the presidential title on July 1, 2010. Kermit has been a Rotary Club member since January 1905, and has held many wholesale NFL jerseys leadership positions with the club. 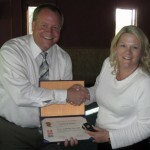 Steve Lillestol also awarded some long overdue awards to other members of the Thief River khí Falls Rotary Club. Among the awards bestowed include the Paul Harris Fellow award to Lee Ann Nelson. 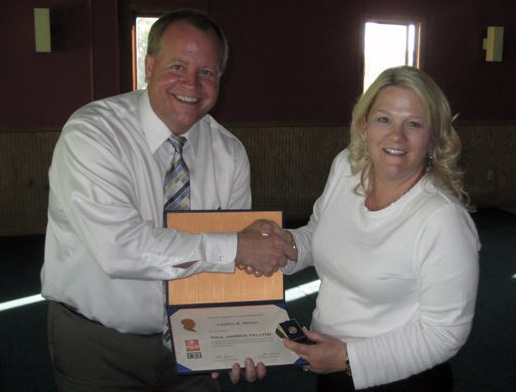 This award is given to Rotarians who give $1,000 or more annually. This prestigious award is recognized as a significant contribution and commitment to the mission of Rotary. 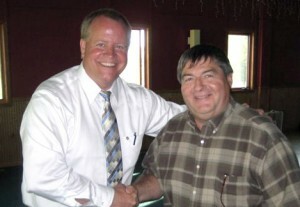 Jim Dagg received an the Rotary Pin for his years of service and accepted the award from Steve Lillestol. 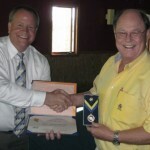 Emery Lee, the Secretary for the Thief River Falls Rotary Club also received the Paul Harris Fellow award for his dedicated service to fulfill the mission of Rotary. This event also was about socializing with other rotary members. Cocktails and finger food was had, and the members had good conversations with each other. This is the second event that was initiated by the club’s president, Steve Lillestol. On his outgoing stretch in fulfilling Presentation his position, Steve invited the entire Rotary club members and their spouses to partake in the banquet. As with hj?lp most unique wholesale MLB jerseys events, this banquet was enjoyed with enthusiastic by all participants. The club gains strength and commitment with these informal outings. 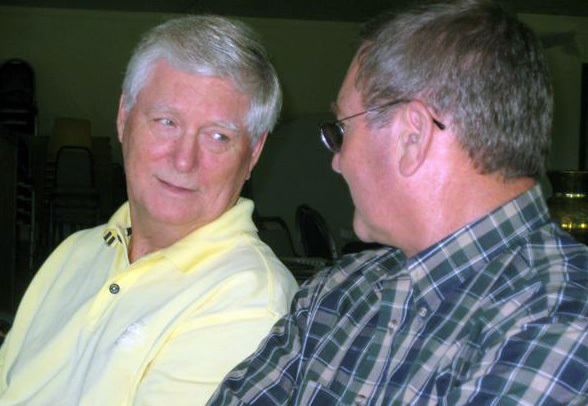 Kermit Genereux, the incoming club president, has indicated that he will continue the “new” ASEGURAMOS tradition of informal outings for club members and guests.